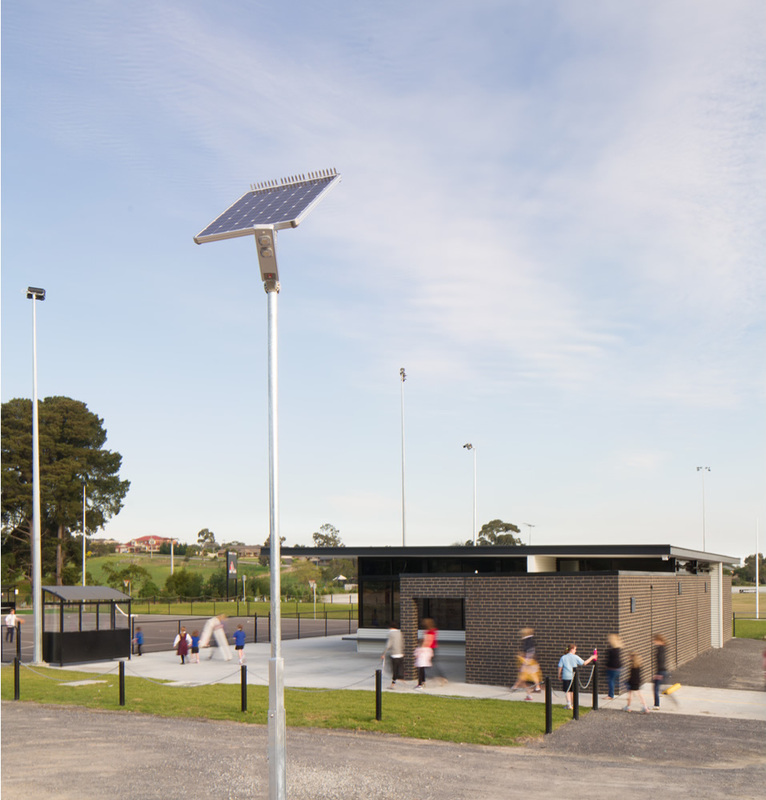 This facility, completed in 2014 at Holm Park Reserve, Beaconsfield, is the new home to the Beaconsfield Netball Club, and features change rooms for players and umpires, canteen facilities, public amenities, storage space, an office and a clubroom. 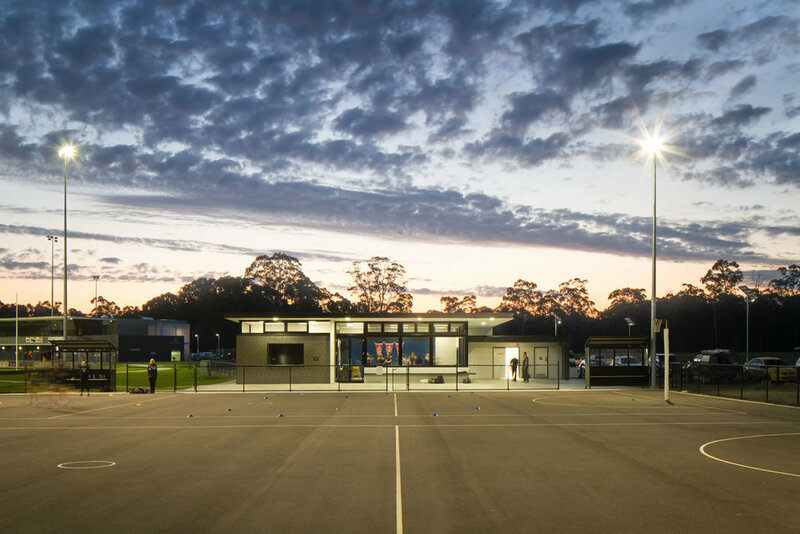 With the addition of two additional netball courts, making four in total, it provides Cardinia Shire Council with a low-maintenance, sustainable facility to benefit the community and supporters of the fast-growing sports club, and sets the groundwork for future expansion. 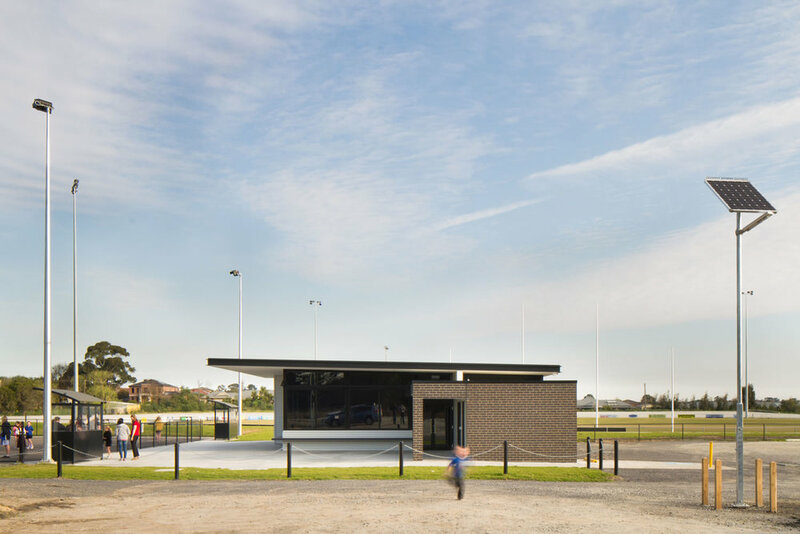 The pavilion design, with a floating roof, blade walls and glazing, coupled with a raw material palette and clean viewing lines, enabled construction to proceed simply and precisely, within tight timelines. 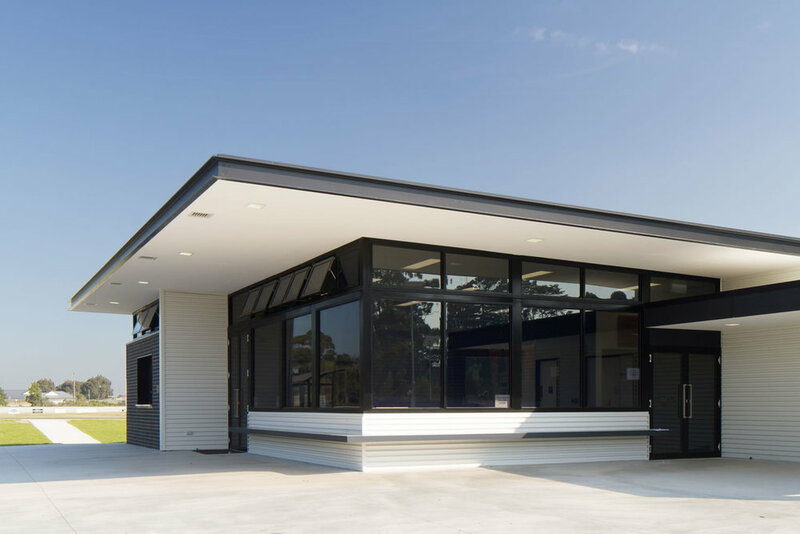 ESD initiatives include a ventilated roof, passive heating, thermally efficient materials, minimised air conditioned spaces, rain water tanks, low maintenance façade materials, new carpet with 35% recycled content green star certified, highest performing low VOC paints, low formaldehyde board, water efficient fixtures and fittings, and recycled material wall fabric selected to enhance acoustic performance.